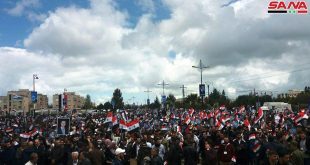 Quneitra, SANA – The authorities continued resolving the legal status of militants in Breka and Bir Ajam in Quneitra province’s western countryside, which had entered into an agreement for resolving the status of the militants who wished to stay, and allowing those who rejected the agreement to go to Idleb. 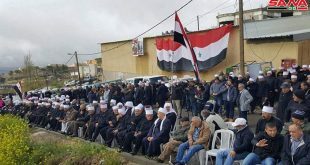 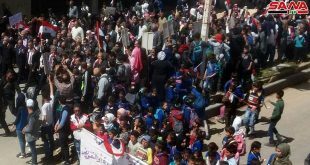 SANA correspondent said that the authorities resolved the legal status of dozens of armed people in Breka and Bir Ajam who handed over their weapons and pledged not to do any act that disrupts public safety. 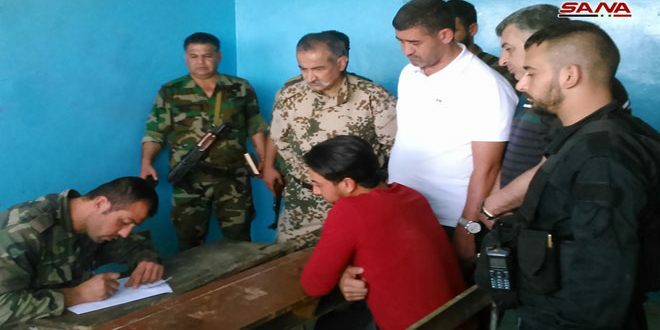 The correspondent added that the weapons that were handed over included assault rifles and different types of ammo.